Jo works with clay to make hand built vessels which are decorated with slips, oxides and glazes. She also enjoys making decorative assemblages using mixed media. 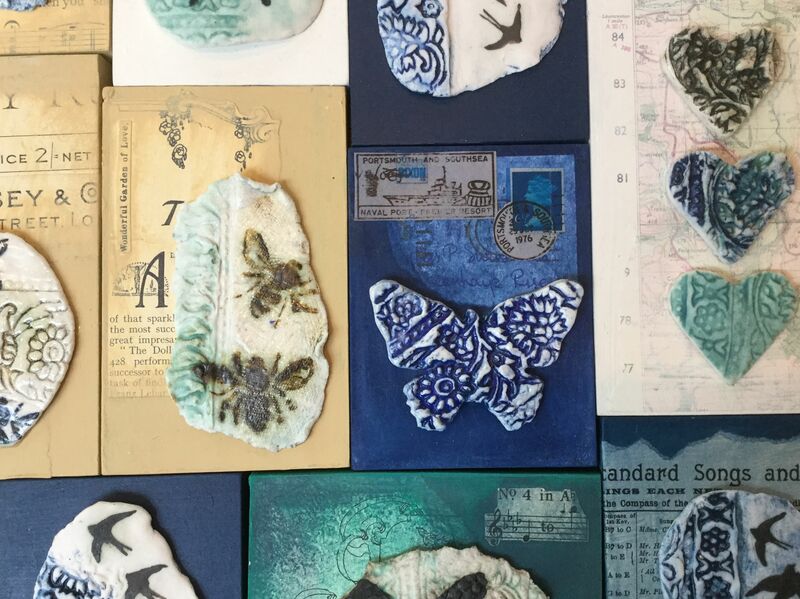 Jo takes inspiration from the local shoreline and it is this theme which links her work through the exploration of mark making, layers, pattern and texture.